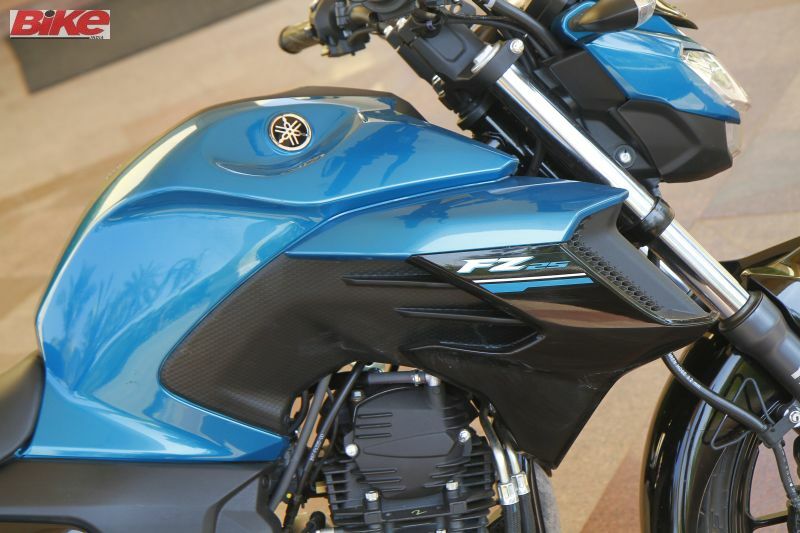 The Yamaha FZ25 is the first quarter-litre naked from Yamaha Motor India, and has everything that the FZ16 lacked to fulfil the ‘Lord of the Streets’ tag. 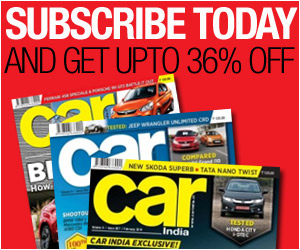 Apart from missing the first mover’s advantage, Yamaha are in fact late to join the 200-250-cc party. The specs, at least on paper, won’t make your eyeballs pop out, but what they have got right is the price. At Rs 1.20 lakh ex-showroom (Pune), it really is an appealing price for a quarter-litre bike carrying the prestigious tuning-fork logo. Does it have the looks to match the price? Some might argue that the FZ25 looks quite similar to the FZ16 sibling, but Yamaha is just trying to maintain the well appreciated FZ-series’ street fighter styling. It’s muscular but none of it is forcibly beefed up. So, it not just looks proportionate but the weight distribution is excellent too. The shape of the split-all LED headlight, along with the muscular fuel tank, give the 250 a Transformer-like persona. It looks larger and is also slightly taller than the FZ16, but most importantly the FZ25 definitely looks worth the money. How is the riding position of the FZ25? 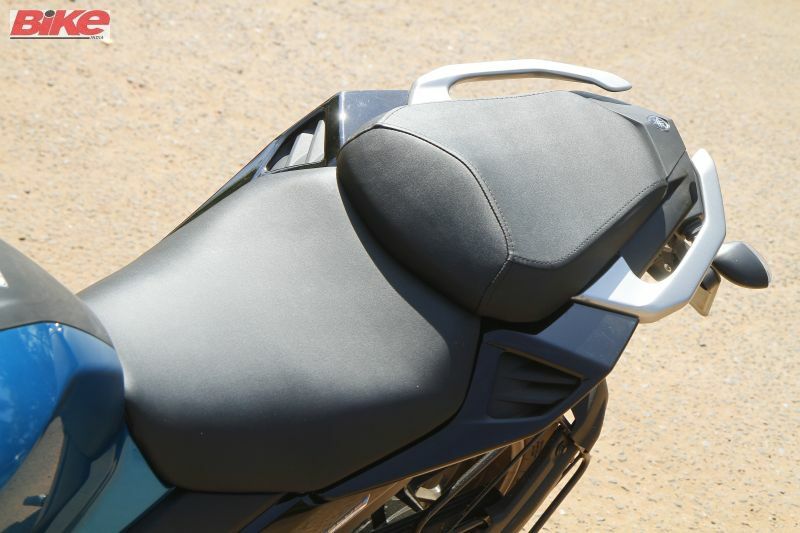 The new Yamaha FZ25 has a natural seating position. Knees gripping the narrow waist perfectly, arms relaxed while holding on to the single-piece handlebar, and the feet rested comfortably on the slightly rear-set pegs. The seat is large and offers good comfort for both the rider and pillion, which make the 250 good for long distance riding as well. Is the overall build quality up to the mark? Yes, the quality of the switch-gear, palm grips and other cycle parts is up to Yamaha standards. Since the FZ25 meets a BS-IV norms, it comes with All-time Headlight and we like the way Yamaha has incorporated the Pass light in the high-beam switch as seen on higher capacity bikes. The instrument console is all digital, very basic and gets the job done. It has a tachometer bar spread horizontally across the LED display. Then there are a couple of trip meters and even gives out the average fuel economy. 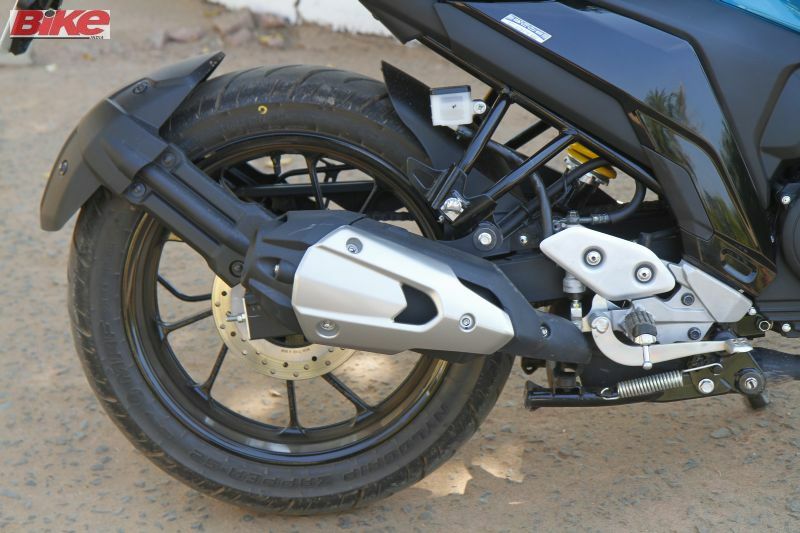 What are the specs and what’s the performance of the Yamaha FZ25 like? The FZ25 has been built to a price. Keeping that in mind, it comes with a rather simple 249-cc, single-cylinder air-cooled engine with an SOHC, two-valve configuration. This produces 20.9 PS at 8,000 rpm and 20 Nm of torque at comparatively low 6,000rpm. Aiding this torquey engine is the fuel-injection system which ensures uniform fuelling and better combustion. 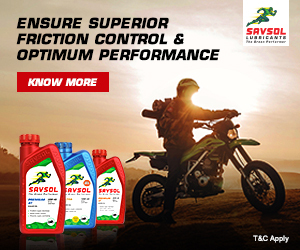 Twist the throttle and the FZ25 takes off without any lag, with the FI ensuring brisk acceleration. 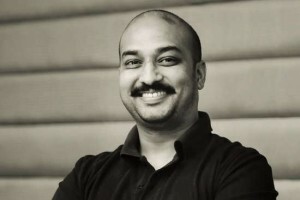 The single has been tuned to offer strong bottom-end and mid-range. 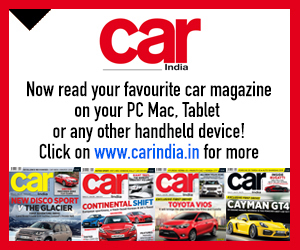 While the gear ratios of the five-speed transmissions are well spaced out making it spot on for city or highway riding. So will this Yamaha be burning doughnuts around the competition? Not exactly. 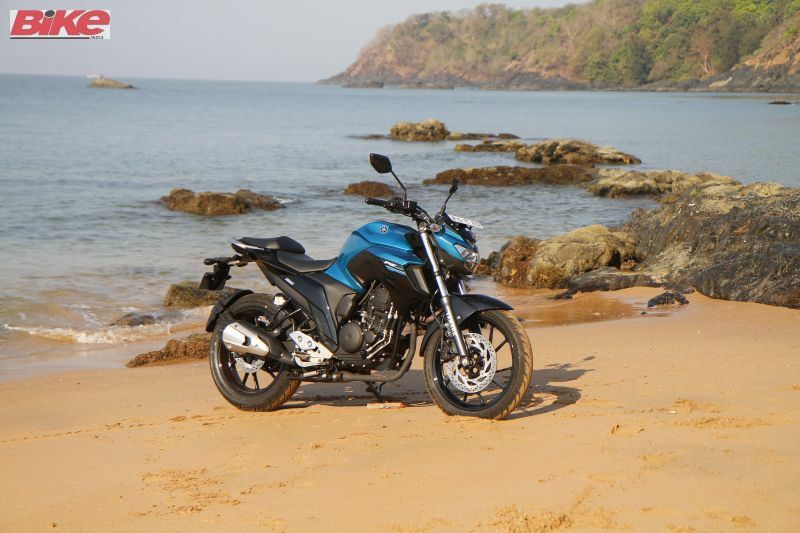 But what makes the Yamaha FZ25 standout is the refined engine and predictable power delivery which isn’t intimidating. 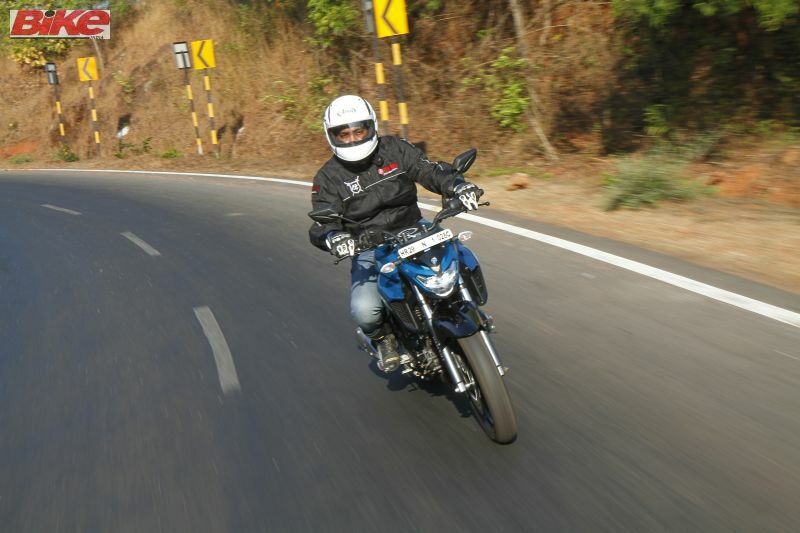 Touring enthusiasts will be happy to know that it remains relaxed while cruising at 110 km/h. We even managed achieve a top speed of 135 km/h plus, which is quite impressive and irons out any doubt people might have had about the FZ25 being ‘not that powerful’. And what about the handling of the FZ25? 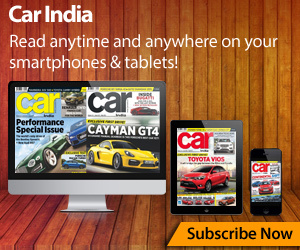 The suspension compliments the smooth engine and has been tuned to offer a comfortable ride quality. 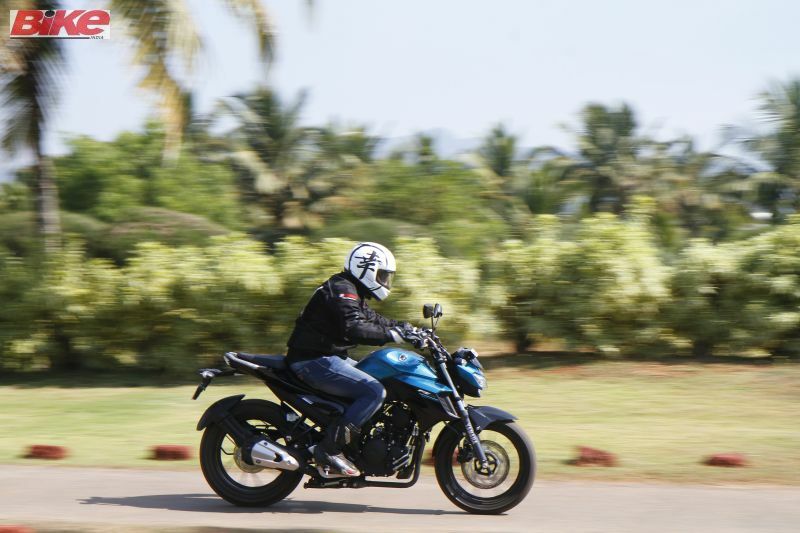 When cutting through traffic or leaning in through a corner, the FZ25 remains extremely composed and sure footed. 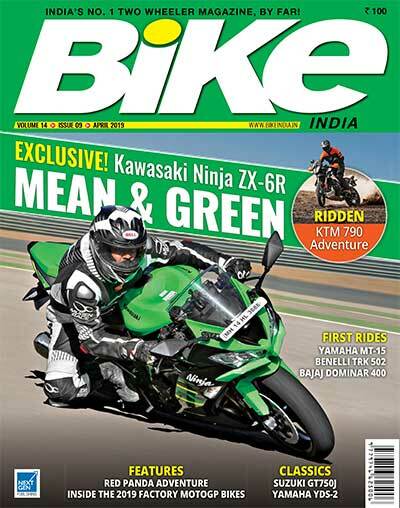 Accentuating its handling are the sticky MRF tyres and the setup of the beefy 41-mm forks up front and monoshock at the rear. Compared to its smaller sibling, the 250 also has a larger 282-mm front disc and a 220-mm rear disc, which help in shedding speed quickly. Although the FZ25 doesn’t come with an ABS just yet, it’s not really a deal-breaker. 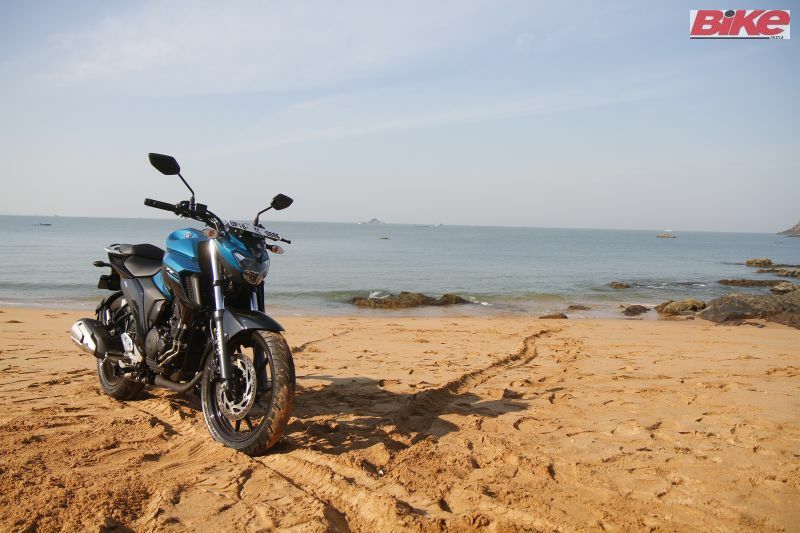 What is the on-road price of the Yamaha FZ25? 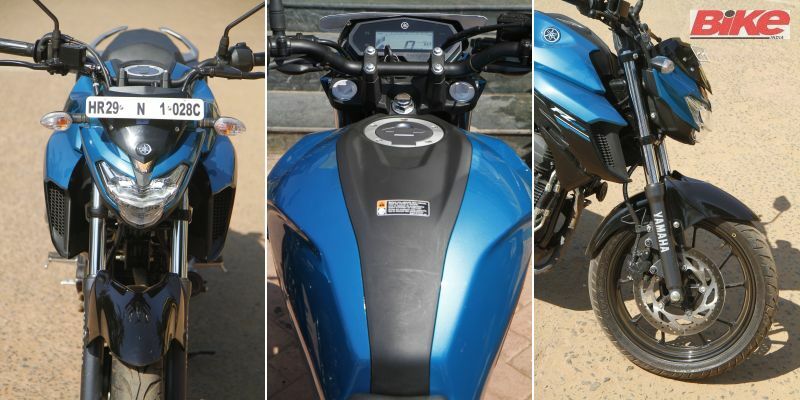 Yamaha FZ25 price is Rs 1.42 lakh on-road Pune. 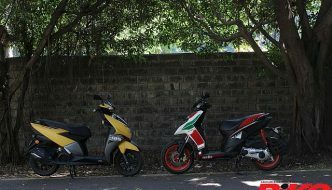 In Mumbai, the FZ25 would cost around Rs 1.41 lakh*; the on-road Delhi price is Rs 1.33 lakh* and in Chennai it will cost 1.38 lakh*. 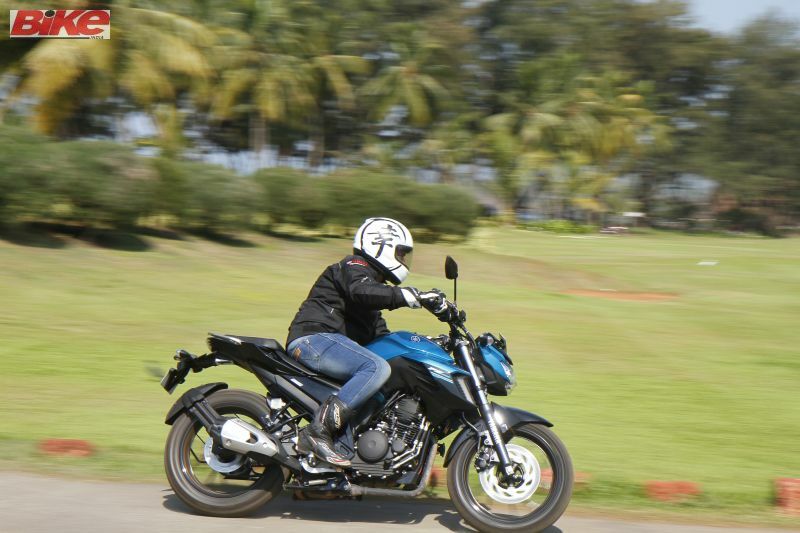 The Yamaha FZ25 is the ultimate upgrade for existing FZ16 owners and for those who are in the market for a reliable, refined and fairly quick bike which can be used as a commuter during the week and as a long distance ride during the weekend.